The ever-expanding world of ecommerce can be intimidating for longtime business owners and those trying to enter the space for the first time. It’s difficult to determine the best course of action for your business when there’s such a variety of platform providers and store configurations. There are many different kinds of ecommerce stores, which makes it key for the serious business owner to know the pros and cons of each. What Are the Basic Types of Ecommerce? Before diving into the different kinds of ecommerce stores, it’s important to understand the fundamental types of ecommerce. Business-to-Business (B2B)—A company sells a good such as marketing software or cloud services to another company. Business-to-Consumer (B2C)—A company sells a good or product to an individual (standard online retail). Consumer-to-Consumer (C2C)—An individual sells a good to another individual, usually via a third-party provider. Consumer-to-Business (C2B)—Individuals sell their products or services to companies, likely through some type of ecommerce marketplace. Now that you’re clear on the types of ecommerce businesses, you can decide what kind of ecommerce store will be the best for you. Picking the right enterprise ecommerce software can be the difference between blowing away your sales goals and struggling to make ends meet. A well-built, user-friendly ecommerce store can quickly go from small to huge. That’s the power of ecommerce at work. Transactional Sites: This is what most people will have in mind when considering traditional online retail. A transactional site is usually just a standard online storefront for a retailer. The store will allow customers to search the company’s online inventory for a particular product. Transactional sites are most commonly platforms for B2C or B2B companies. Static Sites: Instead of being totally focused on the transactional aspect of ecommerce, static sites focus more on generating brand recognition through landing pages and articles. This type of site doesn’t necessarily drive purchases like a transactional site, but they do make sense in certain industries. A static site is very useful for B2C or B2B companies whose customers will need to try or see its products in person before making a purchase. Online Marketplace: Sites such as eBay, which facilitate a convenient marketplace catering to C2C and C2B sellers, have enjoyed a high level of popularity among small businesses and individuals for years. With the advent of online storefronts, sellers on marketplaces like this can now receive the benefits of a personal website, such as streamlined logistics and greater control. It should be noted that no two ecommerce stores have to be the same—unless you want them that way. With the abundance of diverse design options offered by ecommerce site builders and hosts, it’s now possible to start selling products on a beautiful site that comes with a price tag in practically every price range. Running your own ecommerce store can be a daunting task even for experienced business professionals. 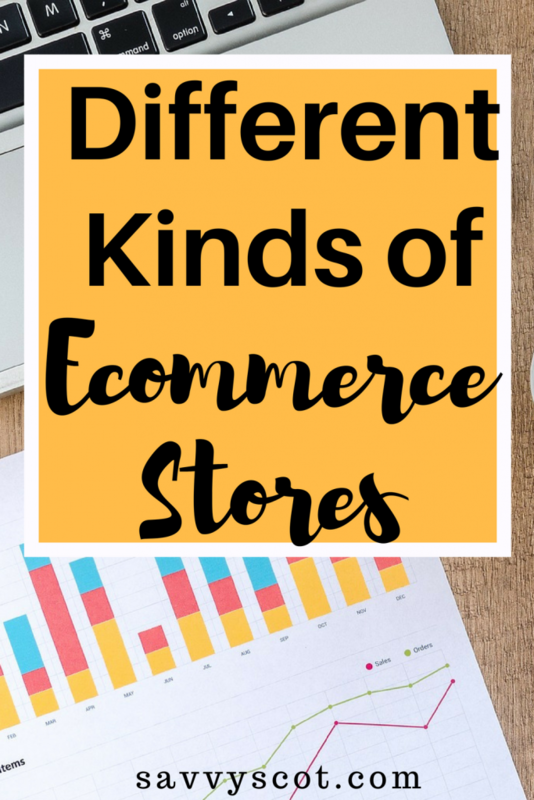 Hopefully, learning more about the different kinds of ecommerce stores, and how they relate to types of online businesses, will give you the confidence and expertise for breaking into the ecommerce world. The e-commerce world is certainly an interesting one … great breakdown!